Northwest Cellars' customized wine is my secret weapon. I use it every month as my thanks/sorry/please tool. It celebrates victories with clients, serves as a tangible symbol of apology for when things go awry, and is a powerful incentive for prompting action. 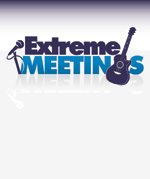 Our gift of an Extreme Meeting logo'd bottle of wine and chocolate literally made our client cry in gratitude. Now that's what I call marketing!